Attention! 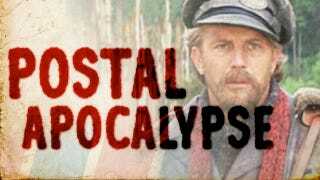 “Postal Apocalypse” is moving from Wednesdays to Thursdays! So you’ll have to tune in tomorrow for your weekly dose of Postman-related wit/wisdom/nonsense. But this also means you have an extra day to email the Postman to ask about new movie trailers, Game of Thrones and other assorted nerdiness.